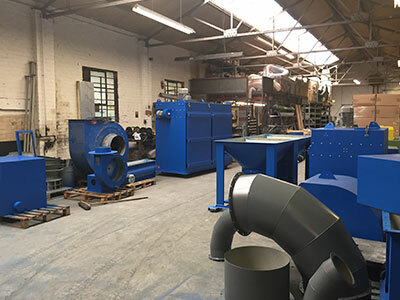 Operating for over 50 years, Dustraction has become one of the UK’s leading independent companies in air quality control for dust extraction, dust control systems and wood waste heaters. We have a manufacturing area of approximately 11,000 ft2 which is equipped with modern sheet metal working machinery, including CNC plasma profiling and CNC press brakes. An ongoing programme of investment enables us to keep our competitive edge in today’s market. Our sales and design teams are here to help and advise our clients, with one goal in mind: producing a well-engineered system. The design experience we built up over the years enables our team to engineer systems completely, from the initial concept through to the final commissioning. And as the technology changes, so do we. A programme of continuous training enables the Dustraction team to be at the forefront of product design and development. We use experienced LEV Engineers to design, install, commission and test your systems to meet the legal obligations under the Control of Substances Hazardous to Health Regulations 2002 and the Health and Safety at Work Act 1974. 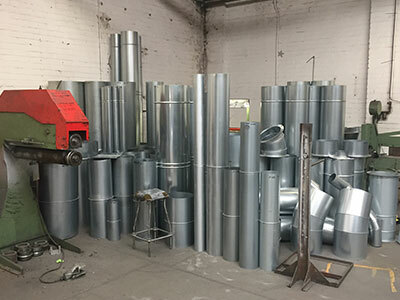 Dustraction’s wealth of knowledge extends to industries such as foundries, furniture and joinery manufacturing, educational establishments, pharmaceuticals, food, packaging and printing.